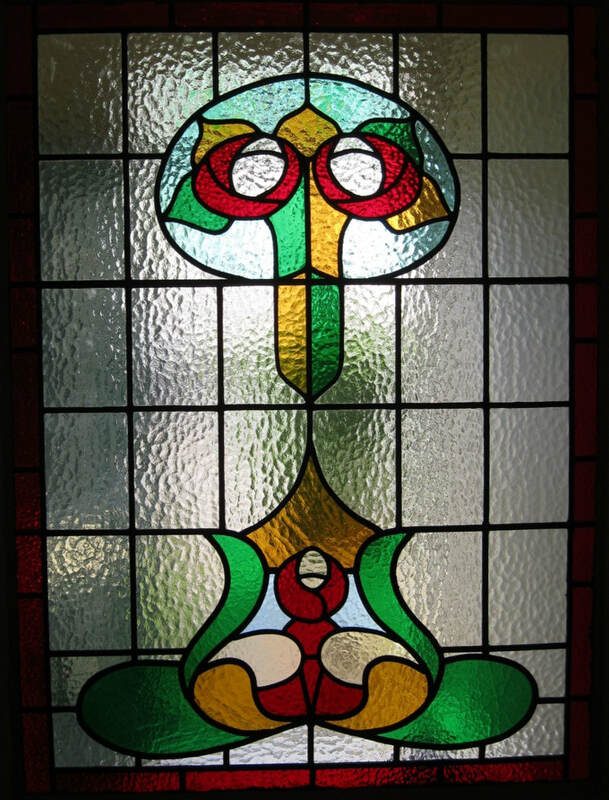 This project was for the repair of a large door panel that had been damaged, with a number of pieces of glass needing replaced, including an earlier repair using a poor glass match. We were unable to get a perfect match for the glasses that needed replaced, so as to maintain symmetry, we replaced the four broken pieces, the poor earlier repair and three other pieces that were intact, but would not match. 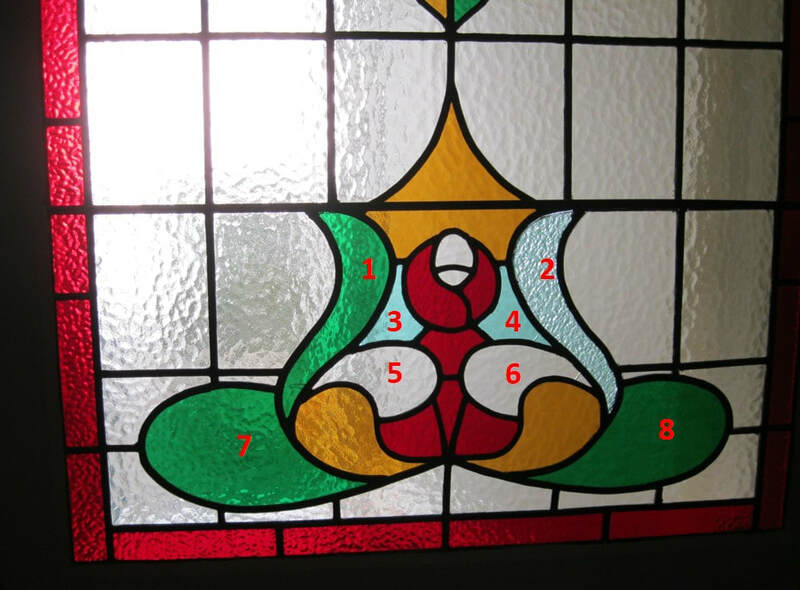 Pieces 1, 4, 6 and 7 were broken, piece 2 was from the earlier repair and pieces 3, 5 and 8 were replaced to maintain symmetry. 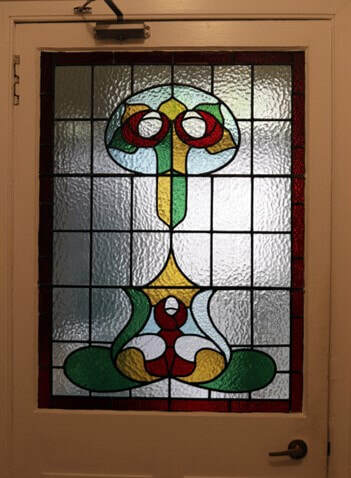 The glass used for the replacement was Antique Cathedral Glass.